After Christmas, we left Highclere to spend New Year with my sister, Sarah and her husband in North Cornwall. It is a much beloved part of the world where my family always spent the Christmas and Easter holidays when we were growing up. At this time of year, the dramatic grey seas batter the cliffs which are studded with occasional chapels of rest. Faint ridges in the grass headlands still signpost where Iron Age communities built shelters and homes, with ramparts across headlands within which they could defend themselves. It always seems an old part of the world, with the visible threads of the life and footprints of the past never far below the turf. Our father loved the romance of Cornwall, the stories and myths, whilst our mother had to be more practical and very well organized: an utter necessity with six daughters. At first, there was no TV and not much heating. Instead there were hearty walks and a lot of good, home cooking. My son listens to our stories and laughter, unable to believe it, and kindly enquires if we were all born before the Second World War…. Books and reading were much encouraged and of course, as six girls, most of us loved the novels of Jane Austen. My sister, Sarah, and I would argue amongst ourselves about who wanted to be Jane or Eliza in Pride and Prejudice, The “middle” sisters were always rather firmly told they had to choose from Kitty, Lydia and Mary whilst our father, like Mr Bennet, preferred to shut himself away from the melée. Mrs Bennett is more subtly characterized in the book than she is shown in modern films but, nevertheless, I think our mother hoped she was less silly than her. Notwithstanding she always got most excited about meeting any prospective boyfriends or finally husbands…. 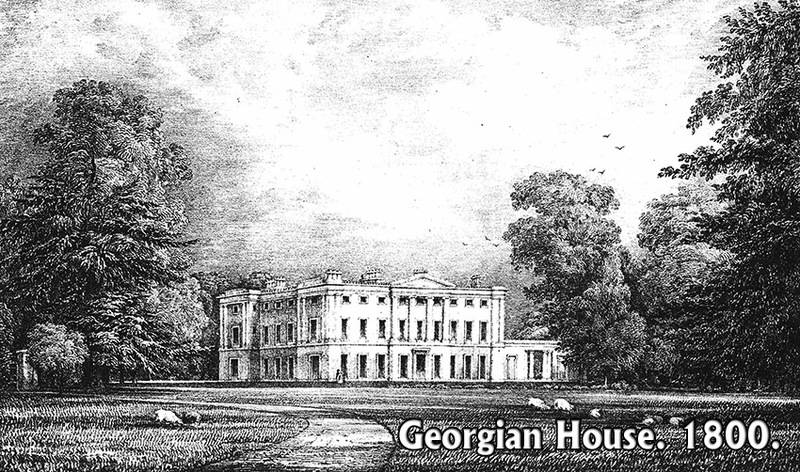 She was an extraordinary woman and writer, one very familiar with the Hampshire landscape and villages in which she grew up which, of course, are the same villages and landscapes which surround Highclere. I am thoroughly enjoying the research and wondering whether we can plan a few picnics around our week or whether that might be optimistic with our May weather. I suspect we shall need a marquee. Our parents are sadly buried in Cornwall and can only join my celebrations in spirit but Iknow my mother would have loved it. After all she called our number six sister Georgiana after the character of the same name in “Pride and Prejudice”. I came upon your blog just now and found your idea of incorporating a Jane Austen themed event at Highclere quite a good one, particularly, as I find, with a bit of research based upon your information, that Chawton House, the Chawton Library, and Winchester Cathedral will observe the bicentennial of her death in July of this year. 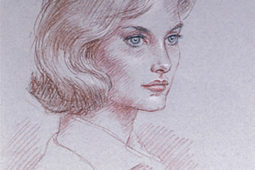 There seems to be an ongoing opportunity for Highclere, being in such proximity to sites and museums associated with her life and times, and since you are probably already in alignment with the educational and historical interests of these organizations, to collaborate with them and, perhaps, become listed as one of their recommended, nearby tourist sites, and vice versa. If I might suggest, perhaps, a willingness to designate a portion of your Austen tickets to Chawton House, would create good will and foster a relationship upon which your and their organizations and visitors might all benefit. I see, for example, there are a number of links to other organizations, in the U.K. and abroad, with interest in Jane Austen, whose members, no doubt, would have an interest in Highclere, as well. Thank you and Lord Carnarvon for so diligently working to preserve the house and it’s history to share it with a world so in need of such tangible evidence of our past, our culture, and a view of a broader range of human possibilities and civility. I’m bold to mention these things, as you may be well along with your plans, but your warm, chatty, newsy “natter” inspired and encouraged me to think you might not be unreceptive. Have a very happy, prosperous, and fulfilling new year. I hoped a week exploring the idea of literature and landscape here in May would help point visitors towards the Jane Austen events in July for example and I have proposed various ideas to the parties involved starting with a coffee together!! I didn’t know that steventon was so close to highclere. Another reason to visit your amazing home!! I LOVE Jane Austen and belong to one of the many and varied Jane Austen societies around the world. I did not realize Steventon and Winchester were so close to Highclere! We are planning a trip to the UK next and I hope we can make a stop at Highclere at some point. It would be great fun if we came in period costume!! It would be great fun – let me know if there is group of you wishing so to do and I can keep make much of a talk on a day for you all.. If only I was closer! I enjoy your blog posts so much. It must be wonderful to live among so much history. It would keep me busy from now on! I am busy – never enough hours and I wake up worrying which does not help! I have not visited Cornwall but, between your lovely (and interesting) description and the books I enjoy by Kate Morton who sets her novels there, it is definitely on my list. Hope your winter is cozy and warm! Cornwall is a magical county one of myth and legend … it is a good hideaway sometimes too. What a delightful idea…a Jane Austen week would bring many people to Highclere and would certainly interest those of us who continue to enjoy reading her novels again and again. My oldest granddaughter and I both share a passion for Pride and Prejudice. Thank you so much for sharing your past Christmas experiences. As I age, I find myself reliving those wonderful family times and missing my parents more at Christmas time. I REALLY MISS Christmas too.But I Have many memories of Nan and Pa Radle.my Mrs and Mr Santa Claus when growing up in Glenolden area. The characters and lives in Jane Austen are here withe us today, even if wearing different clothes! You should visit one day and the exchange rate is now in your favour!!! Loved reading this blog/email. The description of Cornwall and family comparison to characters in a book , whisked me away into another world. I grew up in England . We too grew up with little heat in the home. One of my favorite things to do was read. I would look for old books at jumble sales (we were quite poor ) for books that would whisk me away into another time, place and world. Loved Charles Dickens , Faerie/Fairy Tales and history books. I also remember visiting a bakery , that sold Cornwall pastries and sweets, as a youngster. What a treat !. It would be a dream to see your home come alive to celebrate Jane Austen. It is such a wonderful way to encourage the reading of great literature and improving mind development is a tremendous side affect. I find it encouraging that you take the time to write your blogs in such a way that you are able to reach across all financial, racial, religious and Continental barriers. Modern technology is amazing make it possible for your life and business to be globel. One of the biggest accomplishments has been to break the barrier between the upper class and lower. I think that’s why I have been so impressed. It brings it home and makes it so very real, that all people , regardless of where they were born, regardless of their situation in life, schooling, titles or not, that we are all of us human , first and foremost. Your blogs/emails occumplishes success for your family, home, staff and opens up a world to those outside . You’ve made it real. Great job. You are kind, and I still rummage in jumble sales for books. I don’t know much (if anything?!) about Cornwall, but now, I want to know more. That picture is desolately beautiful! It looks brrrr-y cold there. I am very sorry your parents are no longer with us, but glad you have those nice memories. A Jane Austen week does sound like a great idea, and yes, with picnics! Sending you positive vibes right now for cooperative May weather. 🙂 Happy New Year! I used to explore the moors with my father, find the tiny churches with the most extraordinary stained glass windows which were hidden at the end of deep lanes. There are the remains of tin mines and of old bronze age settlements. If you ever want to go I would be so happy to give some ideas! The way in which you write about Cornwall gives such a vivid picture of this part of England. It gives so much the desire to discover this beautiful region! After we attended the Vintage Garden Party in September, we had one day left to visit another part of the English heritage . 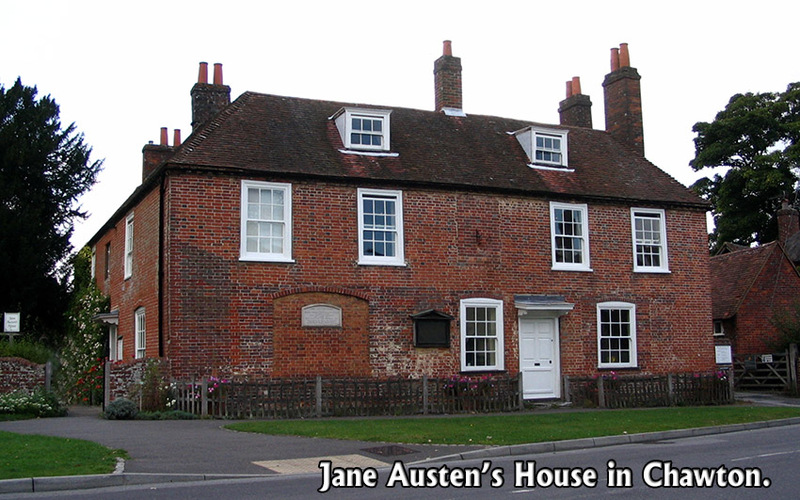 We chose to visit Jane Austen’s house at Chawton. This visit was not planned originally, but we’re both – my wife and I – so happy that we did the trip. We were so close to Jane ‘world’ where she wrote her immortal stories. I do not know if we ever will be back at Highclere Castle. I hope so anyway. A picnic in honor of Jane and her work may sound like music to our ears. This idea, in costumes from Jane’s time and perhaps complemented by the reading of some passages from her books? Perhaps cool or interesting ideas? I am looking forward to your next book with great anticipation as I thoroughly enjoyed the first two books. Won’t you be having a launch party for it at Highclere on March 9th or perhaps the weekend after? It would be a richly-deserved celebration and, no doubt, well-attended. I spent a week in Cornwall in 2015, staying in a B&B in Porthcurno and it was fabulous! I left early each morning going to all corners of Cornwall and saw amazing sights. There is so much history and romance there, delightful people and delicious food. The little nooks and crannies of the coasts and forests are awesome. I love Jane Austen. My daughters and I drove from London to Brighton and around Wales for a week in 2011 quoting our favorite Jane Austin books and laughing with joy. A Jane Austen week would be great! I adore Highclere and everything Downton Abbey and visited during my 2015 trip. It was so great that you gave the opening welcome! Thank you for your postings! I had the pleasure of meeting Lady Carnarvon and his Lordship last December, they are truly lovely and everything about Highclere Castle is just amazing! I spent one day in Cornwall at Camelot Castle Hotel and it is so beautiful there now we have more to look forward to, I am very excited and can’t wait to go back. I would like to plan a Jane Austen itinerary! What a lovely experience it would be to celebrate all things Jane Austen at Highclere!! Just the thought made me catch my breath and gave me a big smile – it would be so enjoyable! Alas, I will need to enjoy it via your blog if/when it comes together since I’m over here in the States. All the best to you, your family, and the staff at Highclere and wishes for a joyful, healthy, and prosperous 2017. Cheers from over here in Charleston, South Carolina. I wish I lived closer so I could come to a Jane Austen event at Highclere! If you do have one, please post a lot of pictures!! Jane Austen’s “Persuasion” is my favorite novel, but I do love “Pride and Prejudice”. In fact, I bought a 1940 edition of “Pride and Prejudice” when I was in London and since then, I have been collecting different editions of the book. It’s started to clutter my bookshelf but that’s a problem I don’t mind having. Oh how I love Jane Austin. In fact my granddaughter gave me the Pride and Prejudice Keepsake DVD Edition as a Christmas gift this year. I am so looking forward to seeing how you celebrate her life at Highclere. I hope when you have your picnics you will encourage those attending to dress as their favorite Jane Austin character. Speaking of picnics I am reminded of the one in Emma. Pride and Prejudice is my favorite book by Jane Austin but Sense and Sensibility comes in a close second. One of my favorite things to do while watching the A & E series is to check out how the homes were decorated and how unlike today formalities were extremely important. I have just re watched Emma with the picnic scene – in perfect sunlight!!! Thank you for sharing your lovely memories of growing up. And for the beautiful descriptions of the areas you’re visiting. Happy New Year to you! Happy New Year! What a delightful idea to highlight Jane Austen and her splendid writings! Truly appreciate your sharing your childhood with five sisters and comparing it to the sisters of The Pride and the Prejudice! I hope your family memories at Christmas in Cornwall are very comforting. I find myself decorating with snapshots under the Christmas tree and around the Nativity scene which we display each year! My English ancestry is from County Devon not far from Cornwall. I would love to visit someday, but for now I have the New Whicker Family genealogy writing which describes life there and coming to America and the adventures they encountered! Thank you again, Lady Carnarvon and all good wishes to you and your family for a healthy 2017! Happy New Year! How absolutely lovely. Jane Austen’s novels have always been favorite’s of mine, and of course we have the same name! 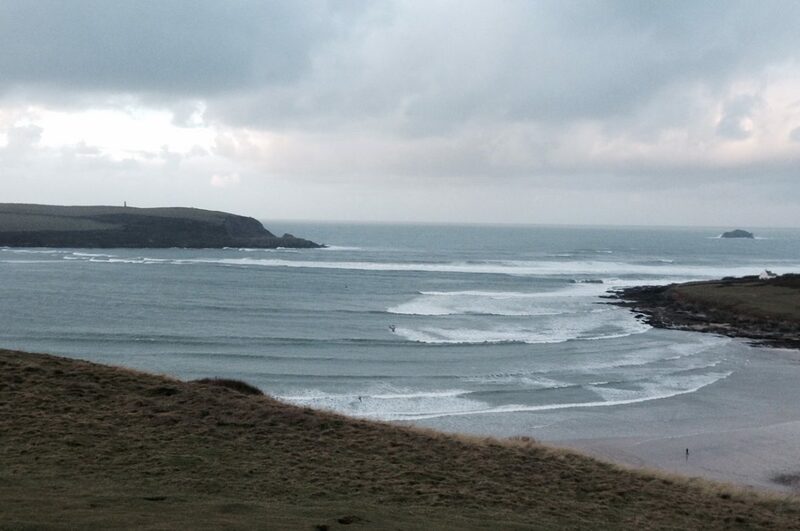 I love the moodiness of the Cornwall coast in winter. The grey weather-laden clouds of this season are my favorite time of year; perhaps because I as born in February. And being a child of New England, snow is perhaps my favorite weather pattern! So enjoyed this blog. I wish you great success with your Jane Austen even planning. It sounds like an enchanting time with picnics on the lawn. We’ll be hoping and praying that weather will cooperate! Thank you – although I do know May is a very uncertain month here! Well that would be the culmination of every dream and a few ticks off my bucket list. Highclere and Jane, pretty please with sugar on top, as they say here in the states. I would definitely try and figure out how to get there! Please post details and dates as they become available and if it becomes a reality. Oh, thank you for even thinking of such a happening! The dates are on the web site – I decided to keep a week in May aside each year to explore books gardens and tea! Happy New Year and thank you for another charming News letter! Nice to read about Cornwall! My first visit was to Falmouth in 1963 to learn English. I stayed with Mrs. Yelland and her husbond who had been Gloria Swansons taylor in London before retiring! Another unforgettable memory from some years ago is our visit to Port Isac and our top of the ten pub! Cant wait to visit HC in May this year finally. My dream came true! OK, just 2200 mile of driving but it will worth it! Look forward to seeing then – when are you coming? I adore Cornwall. I’ve been there twice and would love to go again. I love the small towns with the winding streets, the beautiful views of the sea, and, of course, the delicious cream teas. A most happy and healthy 2017 to you and yours! Thank you for sharing your Cornwall memories. What an enchanting place, even with the gray and cold of winter. I hope to travel there one day, perhaps after a visit to Highclere again. The Jane Austen picnic sounds fantastic…do keep us up to date with details: dates, events,etc. and do make it a “period” event with character dress-up from Jane Austen novels. I have put the dates on the website and booked a marquee!!! Am quite fond of “Poldark” so Cornwall scenery has been on my TV screen a lot lately. I was in England last August but didn’t see it; now want to come back and see Cornwall as well as other places I missed — such as Steventon. I enjoyed Highclere very much; wish I could come back in May for the Austen week — it would be perfect to combine two of my loves, Austen literature and Downton Abbey! I hope it is a great success and that you blog about it! Sounds lovely! What a fabulous combination – Highclere and Jane Austen! We visited Winchester and Highclere last July and loved both. Sure wish we could join you this year for this celebration. I know my mom and I would LOVE it! Please post lots of pictures so those of us who can’t join you in body will join you in spirit! Enjoy! Happy New Year to you, your family and all fellow bloggers. On the other hand, although one must acknowledge her work, I confess (with head held low) that I am not a great fan of Jane Austin’s novels. Maybe that is a consequence of being force-fed multiple Jane Austin novels as compulsory reading and analysis during the final 3 years of my secondary education. Being the only male in my family, my lack of scholarly refinement in that regard has often been the subject of attempted re-education by my daughters taking me to various Jane Austin workshops and appraisals. All to no avail. Of course, even I realise that what has to be universally acknowledged is the ongoing joy and interest that Jane Austen created in not only the world and lives of her characters but also in her own life. There is a special joy that one witnesses in so many faces with the mere mention of her name. I have no doubt that any picnic, visit, talks etc that you organise concerning Jane Austin will be fully subscribed. Best wishes for much enjoyment, fulfilment and success in that regard. I watched the wonderful PBS series “Poldark” and wondered if this was Cornwall. Poldark is a Cornish story and the sea and cliffs are a little south of where I know well. Happy New Year Carol! HAPPY NEW YEAR .THANK YOU FOR YOUR LOVELY BLOG. I wisited in Cornwall two year go and little village where was Jane´s Austen museumn – where all family has lived in, but sadly we have no time visit there. All Cornwall are very beautiful Place and now we have seen in Cornwall landcapes in TV BBC One, Poldark series. It based on Winston Graham´s books. It lovely see how people has lived. What I learn from my trips is England has live in counryside and outside in London and visited in Highclare Castle other trip I just remeber two older couple teachers. They was very frendly and we just talk. We all agree that this was nice two visit. Dear Lady Carnarvon and family, a very happy and healthy New Year. Thank you for a year of wonderful and historical reading. It is always a pleasure to read your interest ing and sometime amusing blogs. Highclere and your family will always have a very warm place in our hearts. Pleas keep up the brilliant work. Desiree. Delighted by your blog! I read everything with the greatest interest and joy. Thank you for the description of the Cornwall “life” and landscapes… I have never been there but visited Wales and will be in Scotland in March and September. Next time, maybe Cornwall, if not Highclere. I am working on all these trips and must do it carefully and neatly (I am almost 80 and still like to travel) to make sure that everything will be done correctly. On this side of the channel at least. I love Jane Austen’s books and have bought all the DVD’s available! I would like to visit the museum too. So, I will have to prepare that too. I will not be in the UK in May – will be in Greece for more than a week – and regret it because some friends would certainly have liked to go. As most of them do not speak English, they would be hoping my so said skills to translate would help them out. I did not tell them about Jane Austen and will try to visit Highclere in 2018! If this is still possible. I am foolish enough to make projects in this crazy world. 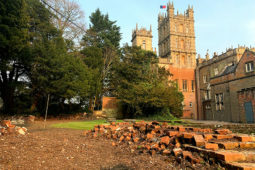 A visit to Highclere and the area where “Lady Grantham” was the queen of the village would be fantastic. 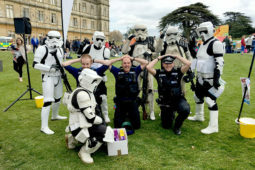 Please keep us informed about the things going on around Highclere. If we cannot be present, at least we hear about it with great pleasure. Thank you so much. I am sorry you will not be here – I wish I could travel more! Daphne du Maurier had a lovely house on the south coast.I think I have read most of her novels and watched the films! A happy new year to you! It’s wonderful to know that Jane is still loved! I myself love Ms Austen, and I firmly believe that perhaps through your vivid articles, others my learn to love her as well. I agree, I think her writing is more complex and subtle than the films are able to portray and they stray into a lighter genre , but again more people watch them..
Like always I enjoy all of your blogs.Although I don’t live in England.Your blogs sure make me feel like I am there.I am very excited about your idea of bringing the memory of Jane Austen to Highclere castle.Mostly because I am a big fan of Pride and Predice.Please keep us informed about the goings on at the castle, as you’re a great writer. I was lucky enough to visit Highclere last October and got to meet you as you were out with your dogs. I love hearing about the goings on . I have cousins who purchased a pub in Cornwall, The Anvil in Newquay. I’ve never met them, and hope to come to Cornwall at some point. Oh, how I love to read Jane Austen! I have enjoyed some of the movies made from her books , as well. Thanks for the blog. It gives the rest of us a nice glimpse of your happy life! I love you, Lady Carnarvon!! You live at Highclere AND you love Jane Austen! I am a huge Anglophile and Jane Austen fan (Jane Austen Society of North America member). In 2015, for my 50th birthday, my beloved sister and I visited England. Two of our most memorable days were spent at Highclere Castle and Chawton (Chawton House & Jane Austen’s house). We plan to return in 2018 for my sister’s 50th. We were planning on adding Steventon & Cornwall (Love Poldark! ), plus some other locations we missed. Your description of Cornwall is lovely and I can’t wait to see it. Now I really wish we could go to in May! Our visit to Highclere was truly magical. We loved wandering through the gardens and dancing on the lawn in the misty rain. We both love your blog. Thank you for sharing! I hope you took some photos! What a fabulous idea. Looking forward to more I may even get some of my friends together and have a Jane Austen Day. England is so romantic. We too take time to reminisce as New Year’s Eve Is the anniversary of when we fell in love. It’s a great time to look back and look ahead to the future of what comes next – which is our next adventure – like your finding new inspiration to celebrate Jane Austen. We have recently acquired a family of 3 young girls. Thank God for microwave ovens. I can’t imagine raising a large family back when without our modern technology. On the other hand time was less hurried and daily chores more of a social experience for family, friends, and neighbors. So great to always go home again – and come back home again. Many blessings to you all this year. I do often think of the hard work and chores which no longer form such a part of our lives today. Thanks for share yours experiences and for the information about the great writer Jeane Austen . I like so much their books. As someone who works in a library, this is right up my street! I have both read and studied about Jane Austen. When our old copy of The Complete Works of Jane Austen became too worn, I made sure we had a new copy. I happily took the old book home! My favorite novel is Pride and Prejudice. Thanks for the family history, I find it fascinating! Love to hear family stories. Cornwall is so beautiful, quintessential England. The ‘pictures’ you paint with words always amaze me. When you write in your opening paragraph about the grey seas and cliffs, faint green patches and old ramparts, my minds eye sees a picture like the photo you share at the beginning. That is great writing! Thank you. Thank you – google is such a helpful tool to explore as well isn’t it? What a terrific bog-I absolutely loved everything about it. Thank you so much. I love all of Jane Austen’s books. I have wondered what other books she would have produced if she’d lived longer. I’ve been to Cornwall once, and was impressed by the excitement and joy of a young lady on the train who was going back there after being away for a while. She made it seem like Cornwall was a separate country. The writer I associate with Cornwall is Daphne du Maurier. The book she wrote that takes place there is ‘Rebecca’, wonderful reading. I agree and when I had read all Jane Austen’s novels I felt so sad! I keep however re-reading them from time to time..
Me ha encantado su forma de expresarse a través de la literatura , su relato hace pensar e imaginar como era la época y nos mete de lleno en parte de la vida de la escritora Jane Austen . Thank you for your kind comments – I did learn some Spanish and read some poetry and plays but I am not sure where I am today to write!! Dear Lady Carnarvon, Wish I could be at Highclere for the Jane Austen events. I have had the pleasure of singing for Miss Austen. She is buried in Wells Cathedral. I was in my university choir (The University of the South at Sewanee, Tennessee) which toured and sang in Wells Cathedral. By the.way, another snap of yourvdogs c would be appreciated. Thank you – Wells is beautiful isn’t it? Sorry. Huge error. My prior post stated Jane Austen is buried in Wells Cathedral..Not true. She is in fact buried in Winchester Cathedral where I did sing for her, .I like to think she heard me. Happy New Year to all at High clere. You have such a gift for writing. I love reading your words and the experiences you have. My heart is aching to visit England Especially Highclere!! I am a stay at home mom of 4 young children and love to escape in to a dream world of England. I love all things English. Reading and television transporting me into a wonderful world full of culture and beauty. My husband and I are planning a visit in 2018! I can Hardly wait to make my dreams a reality! Can’t wait to see the beautiful grounds and castle! Thank you for sharing the beauty of your home and life with all of us dreamers. I’ll keep reading your lovely worlds! You are busy with 4 children. Look forwards to seeing you in a year or so! What a lovely idea. My daughter is named Emma! My sister and my dear friend and of course myself are coming to Highclere in April. Oh how I wish it were May. I’ll just have to talk my husband into another trip the following month! Might be a bit difficult as we are coming from the US! I love reading your blog posts and I am eagerly awaiting your next book. I’m grateful to have found your blog. You have such a beautiful way with words, and I am sure you are also quite a storyteller. I look forward to reading your book, “Lady Almina and the Real Downton Abbey: The Lost Legacy of Highclere Castle”. It looks fascinating. I also enjoyed reading your interview with Jessica Salter, as it revealed a very warm picture of your sweet life and family traditions. I love how you speak with such endearment about your family, and I share the same sentiments towards my own. I’m excited to say that my husband and I will be visiting Highclere in May. He has a business trip in London, so we decided to go a week early to visit the countryside in celebration of our 32nd wedding anniversary, which is on May 4th. As good fortune would have it, we arrive early morning on May 2nd, which is the last day Highclere is open for a few weeks. We will be going directly from Heathrow, after an overnight flight. It would be lovely to think that I would grace the doors of Highclere in a bit better fashion, but I’m afraid hair in a ponytail and athletic wear may be the extent of it. 🙂 I regret that I will not be at Highclere during any of the special events, although visiting Highclere is a “special event”. It’s always good to leave a little something wanting for another time. I am not only a Downton Abbey fan, but also one of Jane Austen. Thank you for the information you provided about her and your family in your blog. I look forward to adding some of those charming places to our itinerary. I simply cannot wait. We enjoyed tea at the Jane Austen Centre in Bath, where my daughter purchased her own copy of Pride and Prejudice. After dinner at the lovely Yew Tree, she curled up in bed to read it. She had no idea, that the next day, we would pay a surprise visit to Highclere castle! We stood aside, at the gate, in the light rain, as the Rolls Royce departed from the grounds. Then we enjoyed a homey culpa dn scone. Highclere was a highlight of our visit to England and Ireland. We had no chance to visit more actual Austen sites; only homes at which were filmed some of the many movies, based on her books. We look forward to visiting your lovely home again. It seems to be the perfect time for a tea party with Jane! Thank you for the time you take to write. It is so enjoyable and makes us feel at home in your little bit of England! !